Perfect Tool for Do-It-Yourself Projects! Absolutely ALL DIY Lovers NEED This Best-Selling Tool! Our Amenitee® Tools Made Your Life Easy & Effective! This Amenitee® Tool is much thinner than other rulers with the same material. It can be put in your toolbox and not occupy extra space. Make Your Life Easy and Effective Since Now! 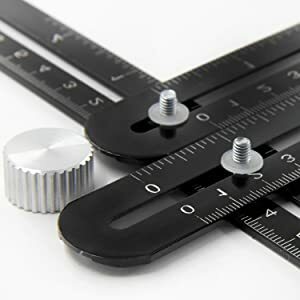 Try our Amenitee® Angle Measuring Tool and completely forget about other measuring tools! It is the ultimate template tool for creating professional layouts in tiles, brick pavers, lumber and laminate. The innovative, four-sided mechanism quickly forms to the shape of your work area, which can then be used as a stencil for cutting your work piece. Amenitee® Is Just What You Need! Great for brick, stone, tile, lumber, laminate and any other materials! The ruler is handy for creating bull eyes, arches, plumb cuts and any project you can think of. Tough enough to outlast any job, yet light and compact enough to be easily portable.
" This is one cool tool!! Very practical and without too much thinking. Just place and transfer! Simple! I am currently practicing with it!! Very practical device!! It came early too!! Love it!! It came in a box and then inside it's own transparent little package for protection!! I like the thought!! " " I've been wanting a tool like this for a long time. 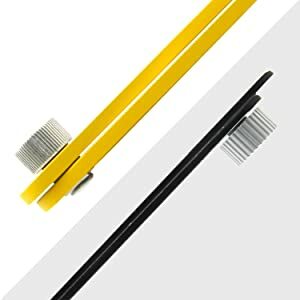 I was glad to find this metal tool. They have a wide price range, but this measuring tool seems to be the best value for the money. It comes nicely boxed and no assembly is needed. The included instruction sheet is not hard to figure out. It is a handy item to have for marking angular cuts for most any woodworking, flooring, or tile project. The tool is made of aluminum and has nice metal knobs for adjustments. It looks and feels very durable. Its price is minimal for a measuring tool of this quality. " "Definitely a tool that needs to be in every DIYers tool box. I got it for my husband because we do projects on our house. Creating the perfect angle for him is now a breeze! We wish we had ordered it so much sooner. It is smooth and easy to adjust to the angle you need. 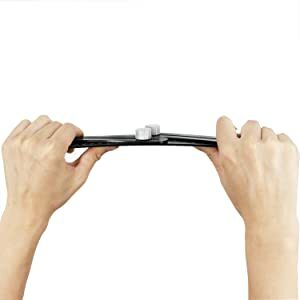 It also holds its position so that you can repeat the angle again and again. If you are a perfectionist, then you definitely will want to purchase this." LIMITED TIME OFFEROrder Your Amenitee® Tools Now!